I have been loving these with fresh sage lately – roughly chopped sage gets beautifully crisp and adds a little luxury to the dish. Brush a nonstick skillet with olive oil and heat to medium. Cube your baking potato into desired size pieces – they can be small or large, whatever you prefer! 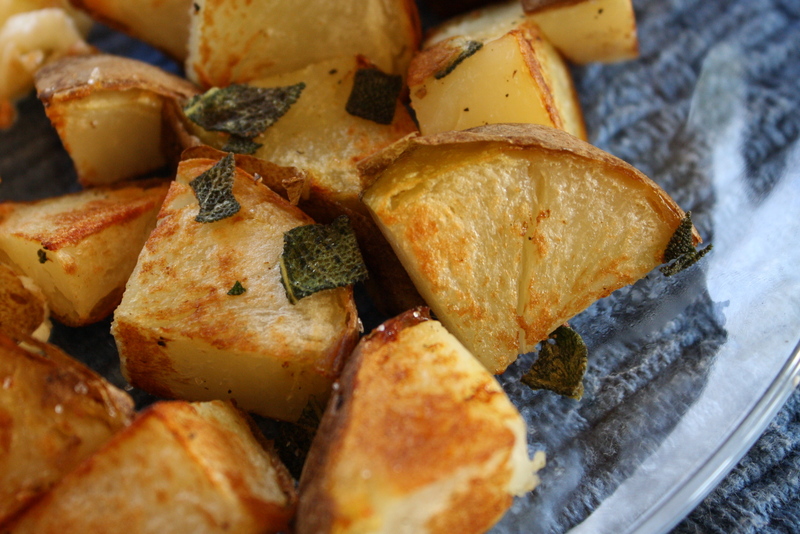 Plate potato cubes in single layer in pan, add seasoning…and don’t move them for at least 5-10 minutes! After five minutes, begin to check for color. When they reach desired crispness, flip to another side (I do this with my fingers, because I have heat-resistant hands but sub-par spatula skills) and cook for another 5-10 minutes. I sometimes add a few dabs of butter to the pan at this point for extra flavor. When they are nice and crisp, turn the flame up and “sautee” the potatoes, so the other sides brown a bit, too. Serve immediately! 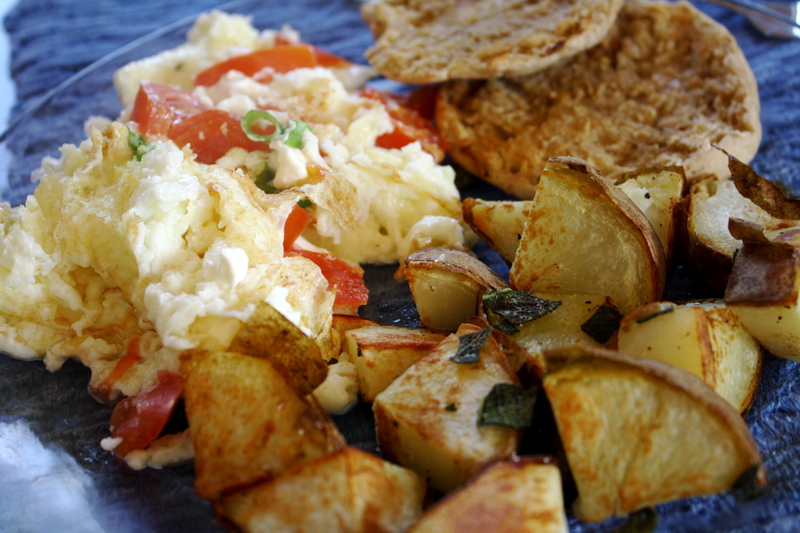 This entry was posted in breakfast, how-to, sides, Sweet Life Laur Original, vegetables, vegetarian and tagged breakfast, easy, hash browns, home fries by Laura Zolnoski. Bookmark the permalink.